Anything less than perfect performance from your cooling system is unacceptable. Even minor issues impact your everyday life, causing discomfort, aggravation, and higher electricity costs. There’s also the risk of property damage, degraded air quality, and complete system failure. For quality solutions to every type of difficulty, with any brand of equipment, contact the fully licensed, insured, and certified team from CJ Air Solutions Heating & Cooling. We work to more exacting standards than our competitors, ensuring prompt response, highly trained technicians, and a job completed to your satisfaction. By meeting strict criteria for business management, customer dedication, and technical expertise, CJ Air Solutions Heating & Cooling is recognized as a Trane Confort Specialist Authorized Dealer. When applicable, we rely on genuine Factory Authorized replacement parts to restore equipment sound levels, durability, and efficiency. You may have seen our service trucks, with CJ Air Solutions Heating & Cooling proudly displayed, in your the Sahcse Tx, neighborhood. Our fleet of trucks are fully equipped with the best diagnostic tools, replacement parts, and everything our skilled technicians require to complete almost any service in a single visit. There’s a reason friends and neighbors continue to recommend CJ Air Solutions Heating & Cooling as a trusted source for air conditioning solutions. Call CJ Air Solutions Heating & Cooling to get accurate air conditioning repairs from our team! Convenient appointment times, uniformed technicians, and commitment make all the difference. CJ Air Solutions Heating & Cooling if we can`t repair it No One Can. By providing you with detailed information and knowledgeable recommendations, we serve your best interests. CJ helps you decide, enhance comfort, and add value, to the entire project from beginning to end. It is our job to not only satisfy your temperature control requirements today, but to protect your investment. At CJ Air Solutions Heating & Cooling, we don’t just offer air conditioning system repair, we provide trusted solutions to our residential and commercial customers across Sachse tx, and surrounding areas. The answer to those questions will lead you to call a repair service for your air conditioning. If these situations are not rectified, you will be facing a very huge bill for your cooling services. This can lead to some tough financial times. By calling an air conditioning repair service in Sachse tx, you will get a qualified repair service that is licensed by the state of Texas. This repair service will also give you an estimate of what repairs will cost and give it in writing. This will give you the assurance that you have a qualified professional that knows how to repair your air conditioning units correctly and can also advise you on upgrades or replacements for your current air conditioning system. This can be very cost effective when replacing your current air conditioning system. With a written estimate you will be able to see how much the service or repair will cost. When searching for an air conditioning repair service in Sachse Tx, the website that has been listed is a good resource to find a good repair service for this is very important. Air conditioning is a very important part of our lives and we definitely would miss it if it was no longer a part of our lives. 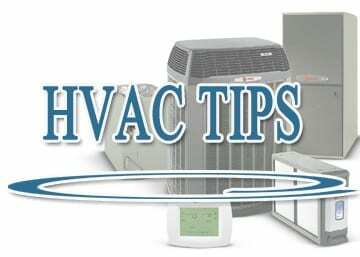 By keeping this machinery taken care of, you will bypass a hefty repair bill and keep your house cool during the hot Summer months with no trouble. So by searching for an air conditioning repair Sachse, you will have a local serviceman who is knowledgeable and can get there quickly to help you with repairs that you will need to keep your unit running well. This service man or woman can also advise you on upgrades to your air conditioning unit while keeping your current air conditioning unit running smoothly. With licensing by the State Of Texas, you can be assured of someone who is licensed and knows exactly what they are doing and you can be assured of quality work no matter what is done. 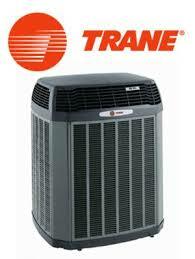 Contact Our AC Experts In Sachse Tx, Now, Because AC Is What We Do!